It has been a week since Blissdom and I think I have finally started to process it enough to be able to put at least a little bit of my experience into words! Blissdom was a magical time for me. From the very first moment when I walked into the incredible Opryland hotel and saw my dear Shannon (@shasherslife) and met our roommate and new dear friend Duong (@duongsheahan) to the moment I said goodbye at 4:30am on my way to the airport to go home. There is something so beautiful about watching women connect with each other. Women who have laughed and cried and supported each other - sometimes for years- without ever meeting in real life finally getting to spend time in each others' presence is pretty incredible. The community we have created on line can be really hard to explain to someone who has never experienced it but I think Catherine Connors did a wonderful job in her closing keynote session. She talked about how women have been telling our stories and connecting over the kitchen table and the backyard fence for generations and now we have done something amazing by moving our storytelling and connecting to the public platform of social media. Let me just take a second here to mention that I think Catherine Connors is a genius and I adore her. 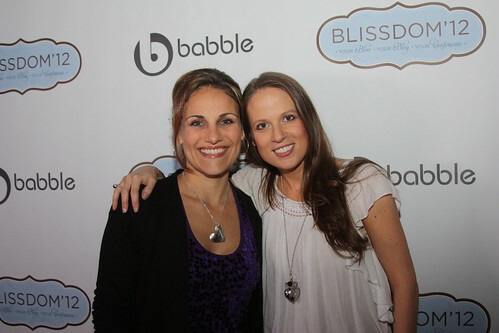 She is one of the directors at Babble.com - another site I love - plus she is Canadian :) . I was given the privilege of working at Blissdom this year and part of my job was to help at the registration desk. After a few hundred people the faces (beautiful though they may be) sort of began to blur together and so when my friend Lotus came to register it took me a minute to snap out of it and realize it was LOTUS IN REAL LIFE!!! This is just one example of someone I have known online for years- since 2007 in this case - but had never met in real life until last week. 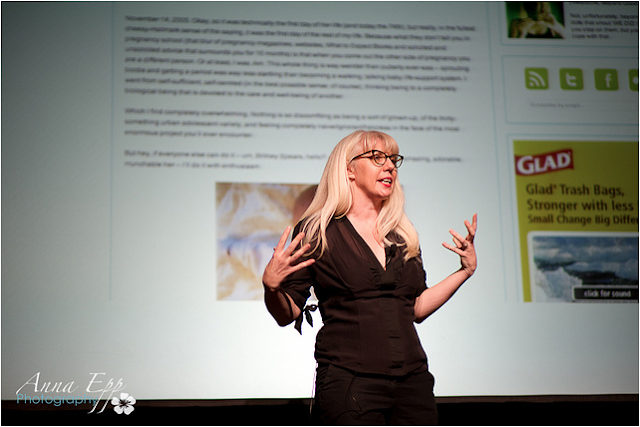 Lotus' blog - i am lotus - was one of the very first blogs I ever started reading regularly. As the realization of who she was dawned on me I was filled with gratitude to this woman who I've shared life with for the past few years... even though we live thousands of miles away from each other. Honestly I barely got to talk to her during Blissdom but every time I saw her it made my heart glad and a few times I even got a little teary eyed because when I saw her face her stories jumped out at me- her life that she has shared through her blog - the joys and sorrows through the years came to mind and I thought to myself what a gift she is and I felt grateful to be a part of that. And the truly amazing part is that I got to watch that moment happen for other women over and over and over and over again throughout the entire weekend. It was beautiful and inspiring and incredible. I am a natural introvert. I can fake extrovert and have had a whole lot of practice navigating the world of extroverts but still tend to feel slightly panicky in large groups. But even when I walked into a room where I knew no one there is a different feeling at Blissdom. I was able to simply walk up to any group of people and say hi. The women (and a few men too!) were very open and accepting. I can honestly say that I didn't feel panicky at all during Blissdom. Not once. And that? Is incredible. 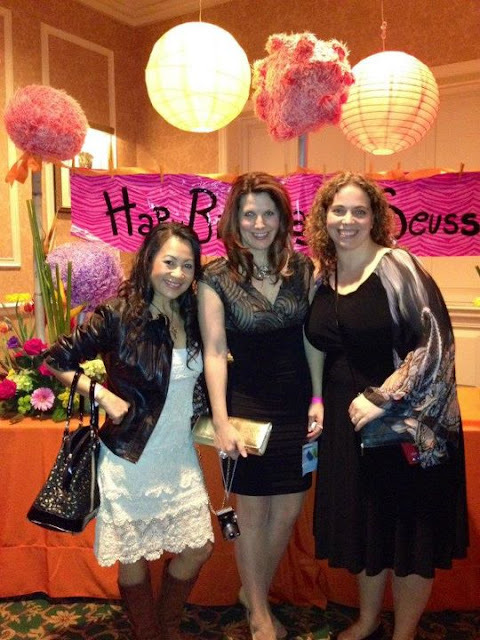 It may sound cheesy but kindness is expected at Blissdom. And I love that!! I got to see some "old" friends from Blissdom Canada too- and that was so much fun. 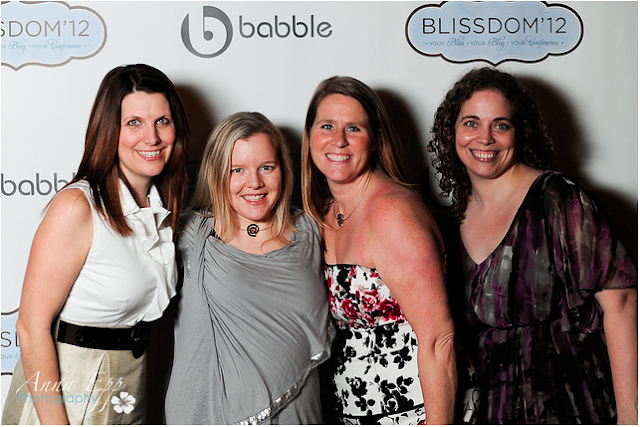 I love these women- Shannon (@shasherslife), Krista (@kristahouse), Anna (@beach_mama) & I at the opening Babble reception. I got to see my dear friend Janice from 5 Minutes for Mom and she introduced me to her dear friend Christine of From Dates to Diapers & Beyond ... another fun moment since I've been reading her blog forever :). There is a LOT more I want to share- and I will... but one post can only hold so much emotion! PS... Blissdom Canada is coming again this fall so be sure to keep your ears wide open and follow @BlissdomCanada and the #blissdomcanada hashtag on twitter for all the details!! YAHOO!! Sounds like you all had a pretty amazing time!